President Cyril Ramaphosa is studying the Public Audit Amendment Bill, he has told Parliament. This could be a boon for Parliamentarians hoping the president will enact it and, in so doing, strengthen the office of the Auditor General. Parliament has for years worked on amending the current Public Audit Act, with a view to giving the Auditor General powers to compel accounting officers at government departments and entities to adhere to the office's recommendations. The Standing Committee on the Auditor General developed the bill through extensive consultation with the AG's office, as well as accounting industry experts. Recent irregular expenditure of tax payers’ money has ballooned to R28bn in municipalities alone. The Auditor General’s office is currently governed by the Public Audit Act, and seeks to ensure adherence to the Public Finance Management Act (PFMA). 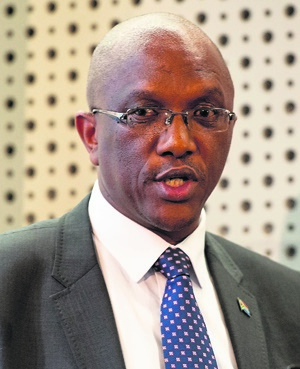 Auditor General Kimi Makwetu has criticised government’s financial management and supply chain management guidelines for lacking in consequence management. Put simply, the Auditor General tells departments, parastatals and municipalities when they are not adhering to supply chain management guidelines, and makes recommendations on how to change the situation which auditees ignore without consequence. Congress of the People (COPE) MP Diedre Carter asked Ramaphosa when he intended to sign the Public Audit Amendment Bill into law and why there had been a "delay" in doing so. In his written response, Ramaphosa reminded Carter that, as president, he had a Constitutional obligation to ensure that any legislation brought to him was constitutional. "This necessarily requires, among other things, a review of all relevant documentation, consideration of any submissions and the sourcing of legal opinion," said Ramaphosa. Standing Committee of the Auditor General chair Vincent Smith has, however argued for the urgency of tighter disciplinary measures, noting that South Africa has not yet seen a successful conviction of arrest for a breach of the PFMA.